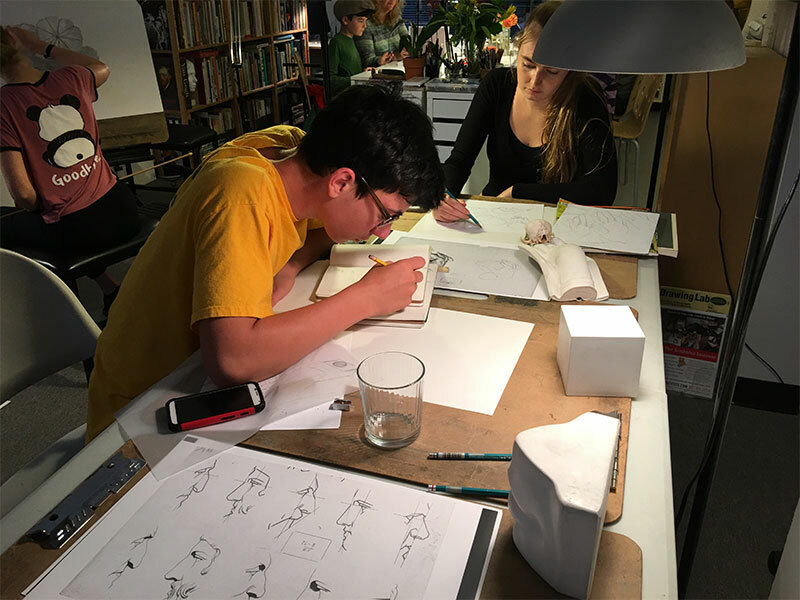 The Scribbles Institute Drawing Lab lessons are perfect for teachers, students, parents, retirees, business owners, artists, designers, engineers, corporate executives—anyone with the desire to learn basic drawing skills for everyday life. Drawing Lab is a safe environment for creativity and collaboration. Learn at your own pace. Develop skills, techniques, and strategies as you learn to draw with confidence. Level 1: Explore! 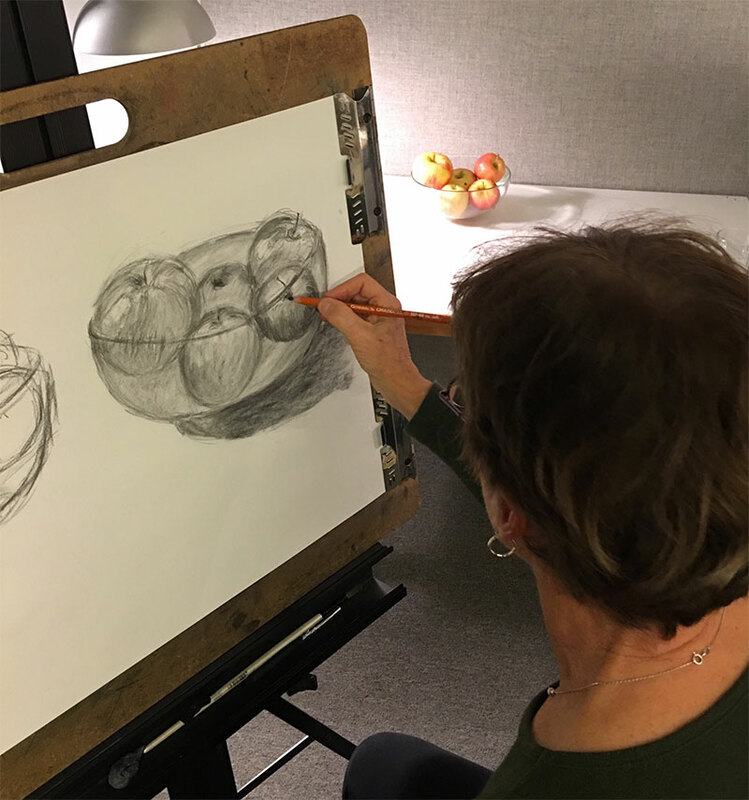 Core Skills (4, 2-hour studio sessions): Gripping the pencil, blocking in shapes, measuring proportions, and perceiving space. 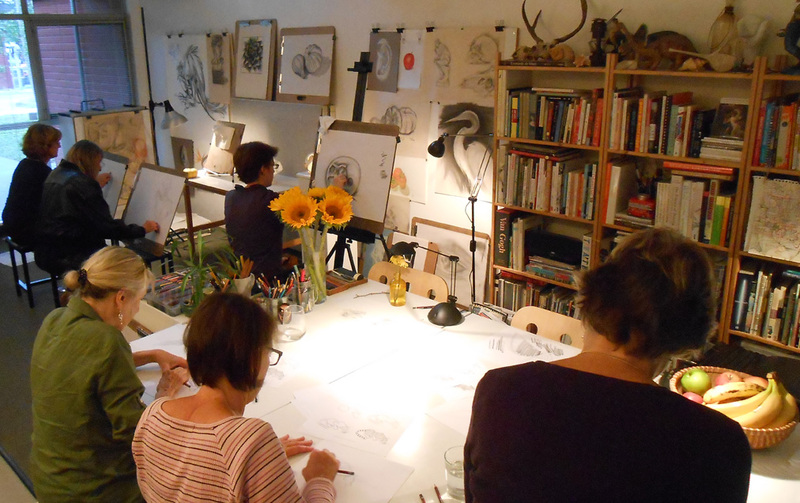 Beginners–especially those who think they can’t draw–quickly gain confidence in our fun, informative sessions. Learn to make drawing your new habit! Level 2: Experiment! Ignite your passion to draw. Develop core skills and strategies (4, 2-hour studio sessions) while learning to use different media (graphite, charcoal, pastels, ink, watercolor), drawing papers, and techniques. 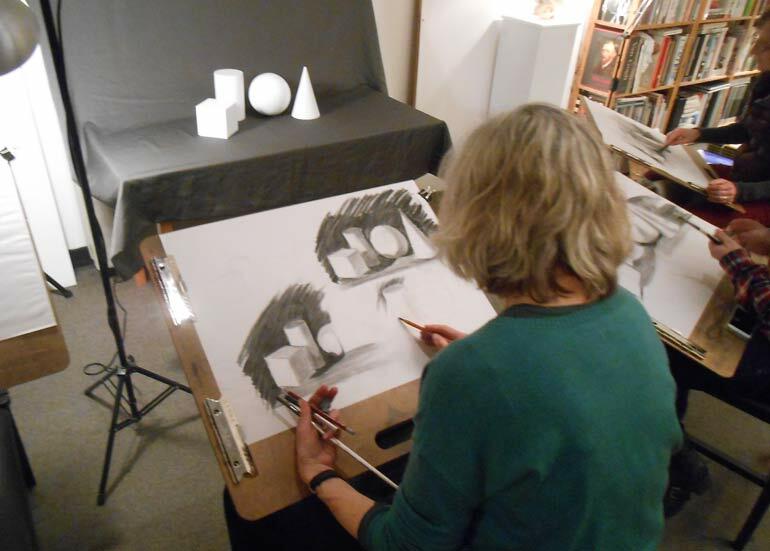 You are introduced to basic principles in composition as you learn to draw from observation and the imagination. Begin investigating areas of interest in drawing such as sketchbooks, illustration, design, and animation. Level 3: Express! You’re on fire! Hone your core skills as we help you to find and express your voice through the language of drawing. 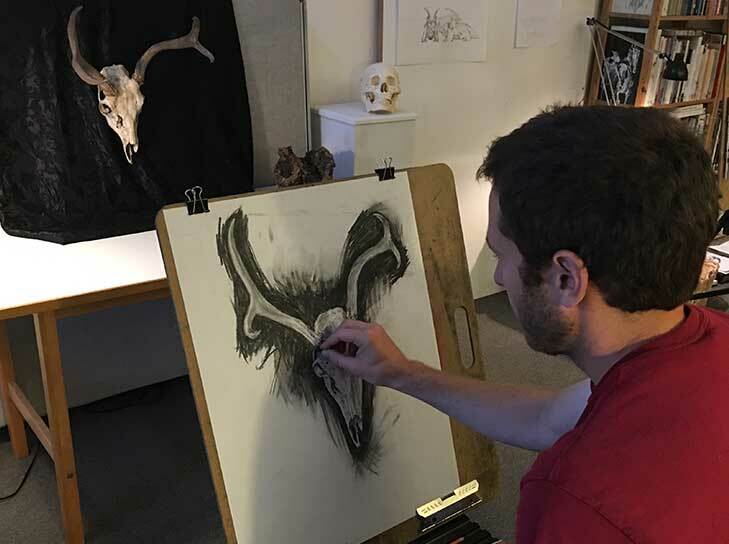 Whether it’s more intensive studies in realism or surrealism, concept art or fine art, the Scribbles Institute Drawing Lab provides the guidance and tools for drawing out your inner artist. Many of our Level 3 sketchers have been drawing with us for several years! 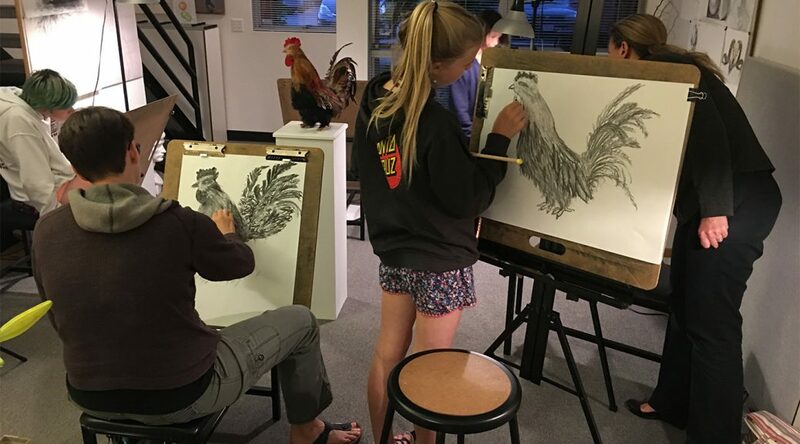 Whether you want to draw with charcoal on paper or with a stylus on an iPad, the Adult Drawing Lab is for you. Small class size ensures plenty of personal attention from your drawing coach. Refreshments are served. Cost: $175 gets you 4, 2-hour sessions of weekly Adult Drawing Lab (materials included). You have a maximum of 2 months (8 weeks) to complete your sessions. Register and pay online. Or pay by check or credit card at first session (contact us to reserve a seat and the date you’re coming). Wednesday evening Adult Drawing Lab sessions: Level 1 (beginner): 6-8pm, Level 2: 6:30-8:30pm, Level 3: 6:30-8:30pm. Sessions are ongoing so you can start on any Wednesday. For young artists (13-17 years) who want to learn fundamental observational drawing skills. Small class size ensures that each sketcher gets personal attention with their particular lesson. 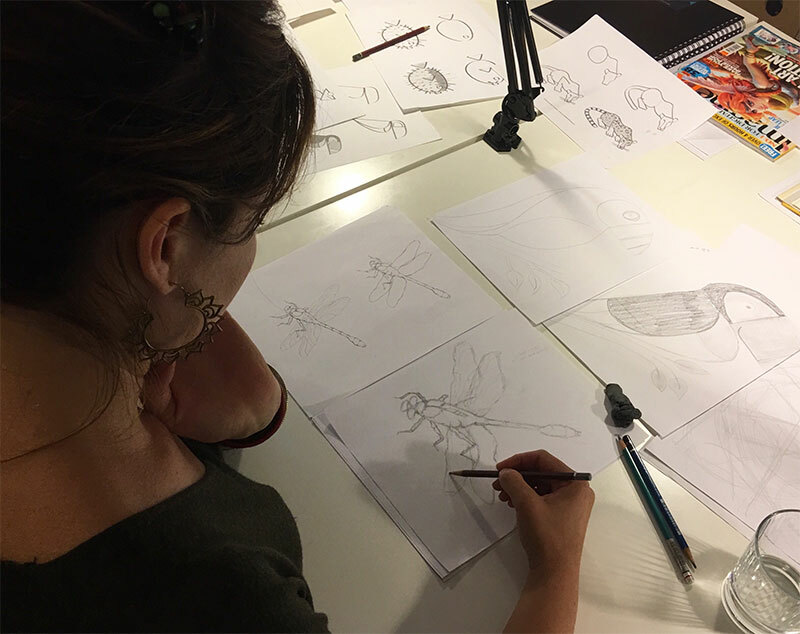 Level 1 youth students begin with our 4-week Core Skills program; then we direct them into areas of interest such as concept art, animation, and fine art. 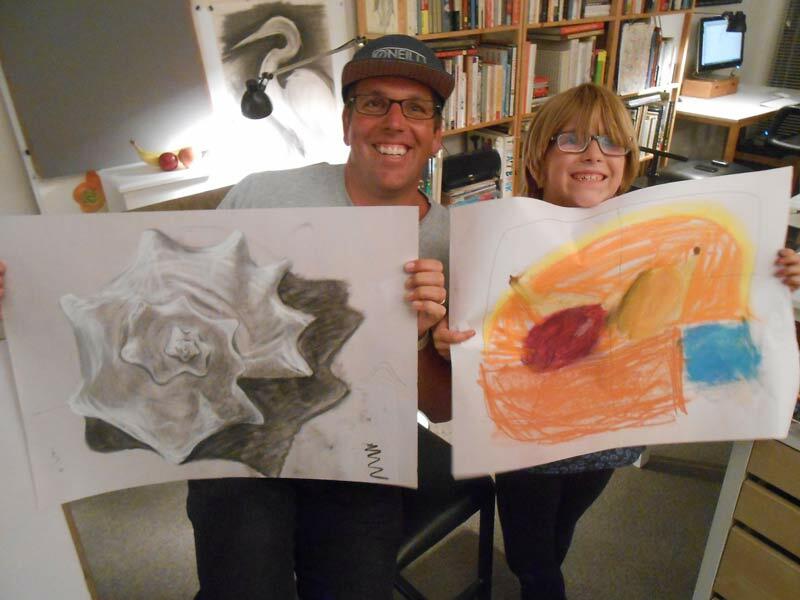 Cost: $175 gets you 4, 2-hour sessions of weekly Youth Drawing Lab (materials included). You have a maximum of 2 months (8 weeks) to complete your sessions. Register and pay online. Or pay by check or credit card at first session (contact us to reserve a seat and the date you’re coming). 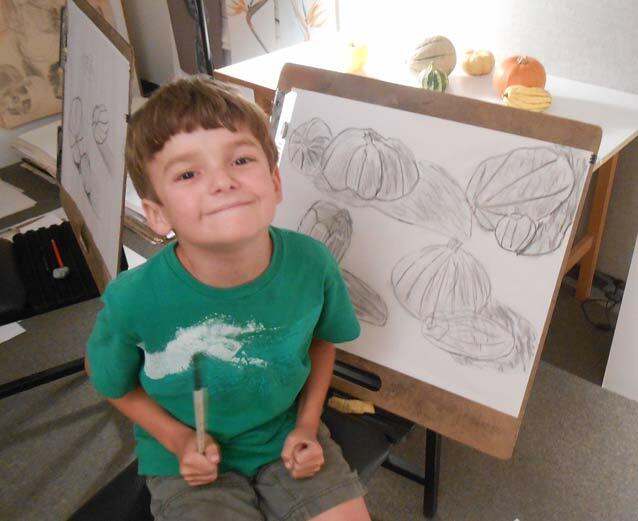 Thursday evening Youth Drawing Lab sessions: Levels 1,2,3: 6-8pm. Sessions are ongoing so you can start on any Thursday. The family that draws together, has fun together! Our Draw With Your Kids program (7-12 years old, and parent) teaches a meaningful approach to exploring and applying your child’s innate desire to draw. Parents and kids learn fundamental skills such as gripping the pencil, drawing with lines and shapes, observational drawing, and sketching 3D objects. Cost: $350 (one parent, one child) gets you 4, 2-hour sessions of weekly Draw With Your Kids (materials included). You have a maximum of 2 months (8 weeks) to complete your sessions. Register and pay online. Or pay by check or credit card at first session (contact us to reserve a seat and the date you’re coming). Thursday evening Draw With Your Kids sessions: Levels 1,2,3: 6-8pm. Sessions are ongoing so you can start on any Thursday. Draw With Your Kids class size is limited to 4 parents, 1 child each. Open to all beginners. Minimum age of children is 7 years old. Refreshments are served. Get intensive one-on-one coaching with Rob Court. Improve your drawing skills. Learn to apply drawing to your own interests such as visual art, design, and illustration. 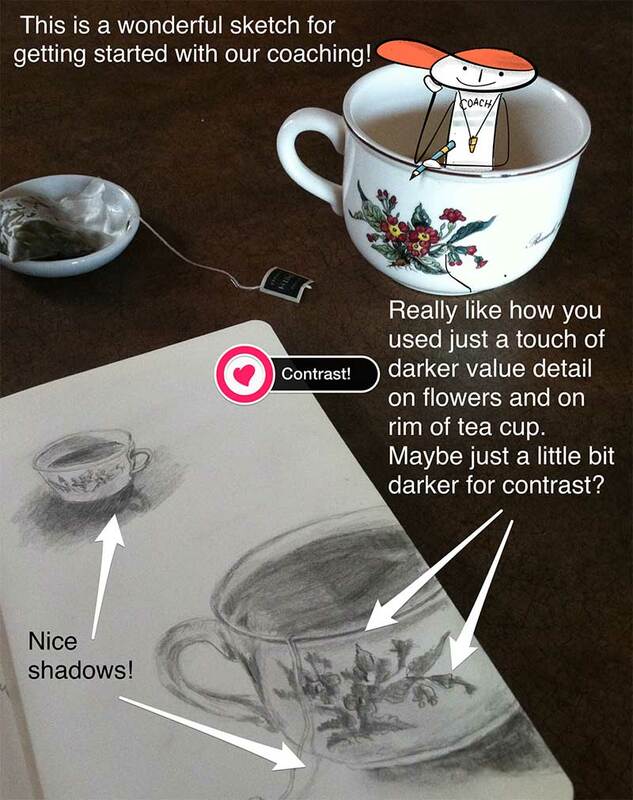 Improve your drawing skills. Learn to apply drawing to your own interests such as visual art, design, and illustration. Get exclusive lessons with Rob Court on how to use drawing to improve creativity and productivity in your life. Make Drawing Your New Favorite Habit! Spend as little as 15 minutes per week learning basic drawing skills with drawing coach, Rob Court. Get help with your drawing while at home, the office, or traveling. Connect with Rob Court and get help drawing in your sketchbook at home, during lunchtime at work, or while traveling. Take your Mobile Drawing Coach with you wherever you go. The key to confident drawing is learning to sketch realistically and accurately from life.